The Haw River Trail provides public access to Alamance County’s most important natural feature. Built on the idea of conservation through recreation, the land and paddle trails allow the community to explore and appreciate its river while helping to conserve and protect this important resource. The planned Haw River Trail (HRT) corridor extends approximately 80 miles along the Haw River from Haw River State Park on the Rockingham-Guilford County line through Alamance County to Jordan Lake State Recreational Area in Chatham County. The HRT is part of the state-wide Mountains-to-Sea Trail (MST) which allows hikers to travel across the state from Clingman’s Dome to Jockey’s Ridge. Approximately 40 miles will pass through Alamance County once complete. Our goal is to work with willing landowners to continue creating a corridor for the Haw River Trail, preserving the open space and viewshed around the Haw River. The concept and drive behind the Haw River Trail are the product of the vision and hard work of local citizens, organizations and governments dating back more than a decade. Funding from the Z. Smith Reynolds Foundation to Elon University, with match provided by Alamance County, City of Burlington and City of Graham, supported the establishment of the first Haw River Trail Coordinator position. With the sponsorship of the Piedmont Triad Regional Council and Elon University, a Memorandum of Understanding was signed by 12 governmental agencies agreeing to support and collaborate to promote conservation and recreation in the Haw River corridor. Partnership agencies operate and manage the trail system, with each agency responsible for operation and management of parks, paddle accesses, and trails on the land it owns. The Haw River Trail logo was adopted in 2006. The two columns of the logo’s “H” design are created by representations of textile mill towers, in recognition of the many historic mills that populate the river’s edge. These mills are inexorably linked to the history of the river, and their ongoing revitalization helps enhance the natural experience provided by a trip down the Haw River. The intersecting blue line of the “H” represents the river, with green paths on each side representing the land trail. Currently, over 17 miles of Land Trail are open to the public in Alamance County, offering beautiful views of the river and its plants and wildlife, as well as opportunities to hike, walk, picnic, and fish along the river. Combining with the Mountains-to-Sea Trail will allow hikers from across the country to share in the beauty of the Haw River corridor. Over time, we will continue to rely on the generosity and cooperation of landowners, local governments, and citizens to help complete the planned trail. 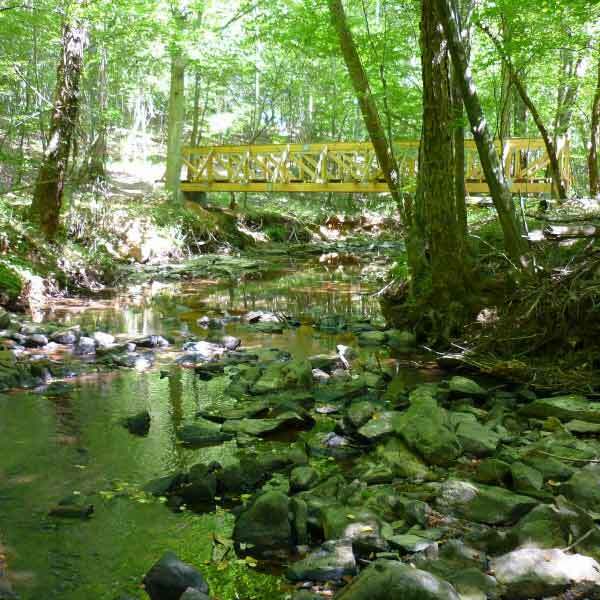 Currently, over 19 miles of Land Trail are open to the public in Alamance County, offering beautiful views of the river and its plants and wildlife, as well as opportunities to hike, walk, picnic, and fish along the river. Combining with the Mountains-to-Sea Trail will allow hikers from across the country to share in the beauty of the Haw River corridor. Over time, we will continue to rely on the generosity and cooperation of landowners, local governments, and citizens to help complete the planned trail. The Haw River Paddle Trail allows novice and expert paddlers alike to experience the Haw as it was meant to be seen. For locals, seeing their home from the river provides a new perspective and a rediscovery of the natural beauty that surrounds them. For visitors, paddling the Haw is an exciting way to experience the natural and historical features of the Haw River corridor. There are currently 14 paddle accesses offering access to the entire length of the Haw River through Alamance County. The goal of the Haw River Trail partners is to help the public conserve the natural and scenic resources of the Haw River. 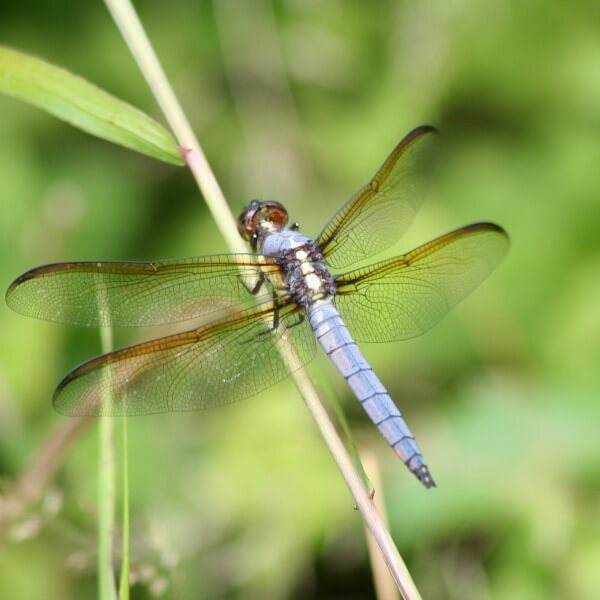 Our conservation efforts help to improve water quality, create habitat for the river’s plants and animals, and improve property values in the region. 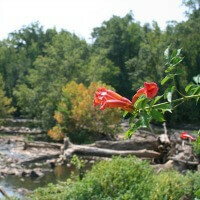 Furthermore, our conservation work on the Haw River provides a scenic and protected landscape for the Haw River Trail. By bringing together landowners, local governments, and funding sources, we are working to protect the future of the Haw River. All too often, members of the conservation community begin with the basic assumption that everyone knows land conservation is a valuable and worthwhile pursuit. However, landowners and community members involved in our conservation efforts are often asked to make sacrifices of their time, effort, or the possibility of developing their property. In light of these sacrifices, it is certainly fair to ask: Why should we conserve? Preservation of undeveloped land along our rivers and streams can help slow and filter polluted water before it gets to lakes, rivers, and aquifers, keeping these drinking water sources cleaner and making treatment cheaper. Nature-based recreation is a sustainable, non-destructive industry capable of producing substantial revenue for small business owners, hotel and restaurant purveyors, and local governments- as well as jobs for local residents. The conservation efforts of the Haw River Trail preserve farmland and open space valued by local residents. Preserving our rural landscapes is increasingly critical, requiring active effort from the community. 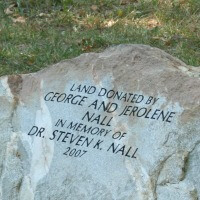 Proximity to nature trails can increase the value of property. Trails and parks are an attractive feature to prospective residents and business developers. 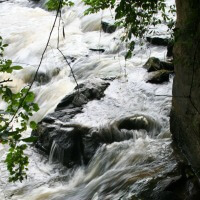 Thriving communities often spring up based on nature trails and associated tourism. 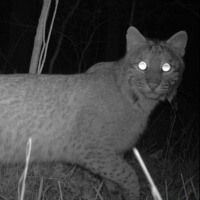 The Haw River corridor is home to a rich variety of wildlife, including endangered and threatened species that depend on the habitat and water purity provided by the river corridor to survive. Much of the land along the Haw River has belonged to members of our community since the 1700s, often held by the same family for generations. 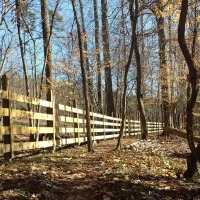 Conserving your land as a part of the Haw River Trail ensures that the legacy continues. For the hiker and outdoorsman, the Haw River Land Trail offers a unique experience not found anywhere else in our region- the opportunity to walk through our human history, while seeing the natural masterpiece that has been the backdrop for it all. Enjoy viewing our local cultural history, natural beauty, glimpses of wildlife, or just the convenience of local access to outdoor fitness activities…all on one trail. 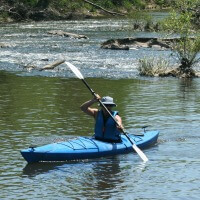 The Haw River Paddle Trail allows novice and expert paddlers alike to experience the Haw as it was meant to be seen. 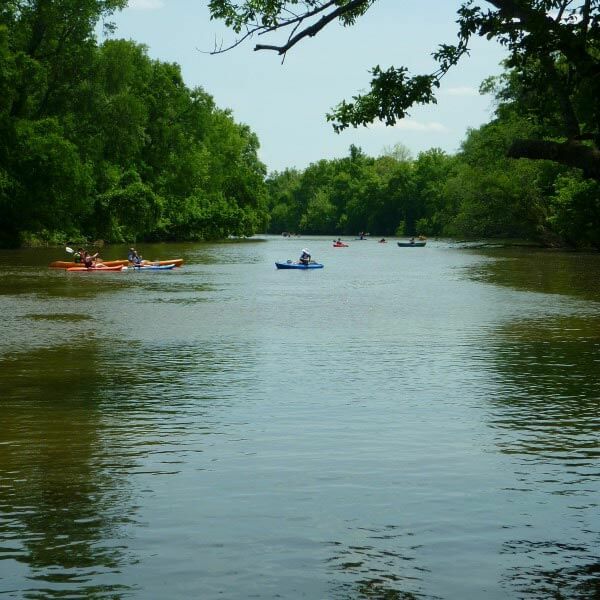 Paddling the Haw is an exciting way to experience the natural and historical features of the Haw River Corridor, or to see your home from a different perspective. With 14 paddles accesses open, there are 40 miles of river accessible that offer a unique mix of exciting rapids and calmer flat water all in close proximity. While perhaps less obvious than the benefits to hikers and paddlers, nature trails such as the Haw River Trail have a lot to offer the economy of their local communities. From improved property values to tax deductions, increased traffic for local businesses, and the knowledge that you are doing something to help preserve your community, land and business owners have an important stake in the success of these trails. Stay in the loop by signing up for our quarterly newsletter!